The Muppets Movie. Games online. 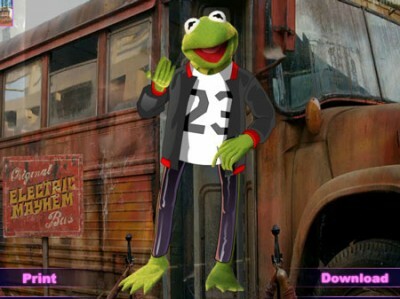 Kermit the Frog is one of the most popular Muppets from Sesame Street. Now congratulations are in order for him since he got a new role. He also needs your help in picking an outfit for the filming. Have fun in selecting the best ones from a wide variety of clothes and accessories. It's not only a good laugh but a first step towards a designer's career.